We tried “St. Louis style BBQ”..!! Hey everyone, we are back from St Louis with some wonderful experiences, be it our road trip or witnessing the beautiful Gateway of Arch or roaming around the city. But first, we would like to share our encounter with Smoki O’s. As foodie travelers, we always have few local joints of every visiting city to try out and Smoki O’s was on our list for BBQ. Thinking about St. Louis food specialty, what comes into mind is St. Louis BBQ, uniquely prepared by grilling the meat and pouring the sauce over, rather than dry rub or slow smoking. One can taste St. Louis style BBQ ribs at many other restaurants and they might be good as well, but we opted for well known & the authentic one. Located on N Broadway, Smoki O’s is one of the most famous BBQ joint and has been acclaimed by many for its ribs, briskets and rib tips. The lady behind the counter/the owner(Earline A Walker) ,greets you warmly & help you through menu. She took a great interest in knowing from where we are and our feedback for the food !!! Though everything on menu looked like worth trying after reading so much good about this place, but we had to bound our self to Ribs and pulled pork sandwich which comes with sides ,we opted for BBQ Spaghetti & Mac and 3 cheese. We are new to BBQ world, but we still found STL BBQ sauce a bit sweet and less smoky one compared to Chicago. Ribs were perfectly grilled and BBQ sauce gelled well with them. The pulled pork sandwich was flavorful with soft bun,portions are good and even sides are great to choose from. If you are in city, this is a must try few blocks down from The Arch, worth for the price you pay with a great hospitality. If you are looking for a fine dining then this is not a place to be, its more like a takeaway joint with few seating. Fuller House is very popular pub style along with family restaurant. Located in Hinsdale downtown it’s always occupied, especially on weekends it’s hard to find a seating space. After going through the restaurant reviews on Zomato, I was more eager to try those Mason jar Cocktails. As we reached there it was fully packed. We were warmly greeted and seated comfortably near the bar. The interior was very classy,there was an upper deck for family seating and a full bar on the lower one. So, let’s get started with drinks. I asked my server what would she recommend us and she suggested Blackberry Lemonade and Alagash and Blue Moon. Alagash, a draft beer with generous portion of wheat spiced with coriander, on the other hand Blue Moon is brewed with Belgian style wheat and oats having orange flavor. 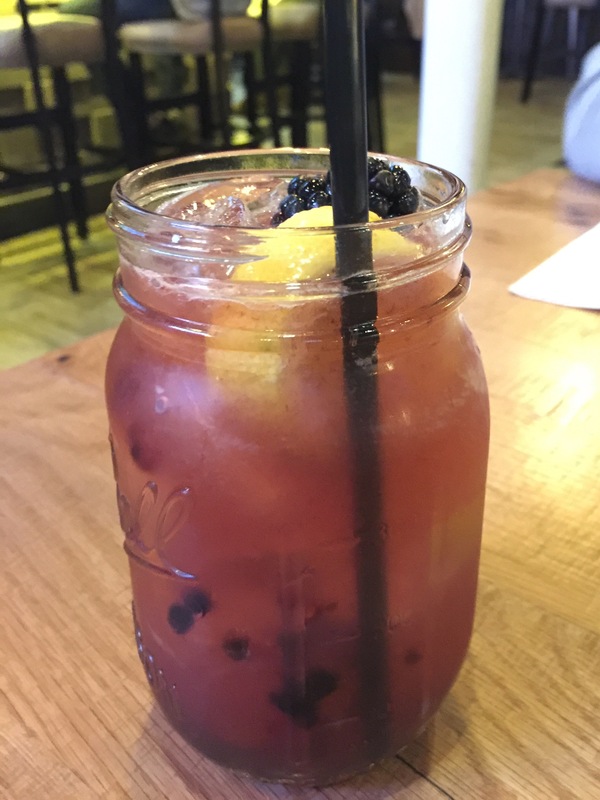 Blackberry Lemonade includes Bulleit Bourbon,fresh lemonade and blackberry. It was served in a Mason jar,totally fascinating. 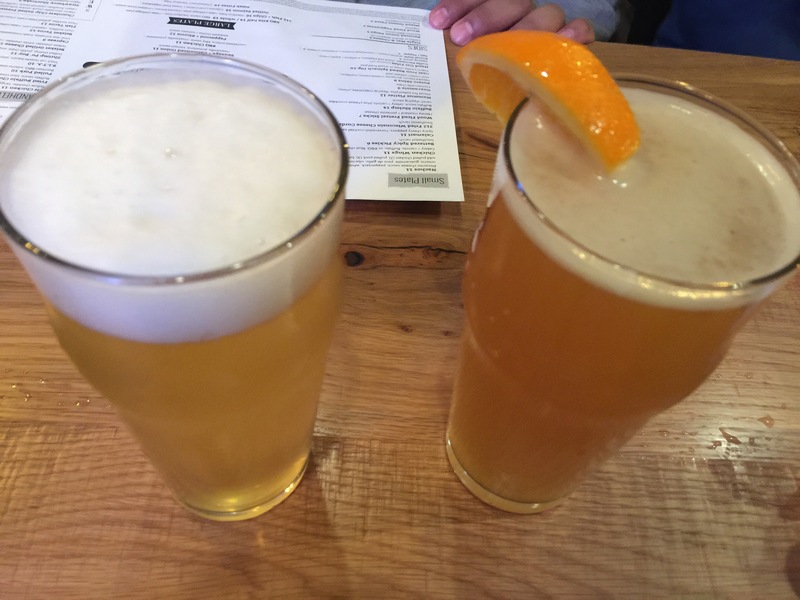 Alagash was light with refreshing taste while Blue Moon was spicy. 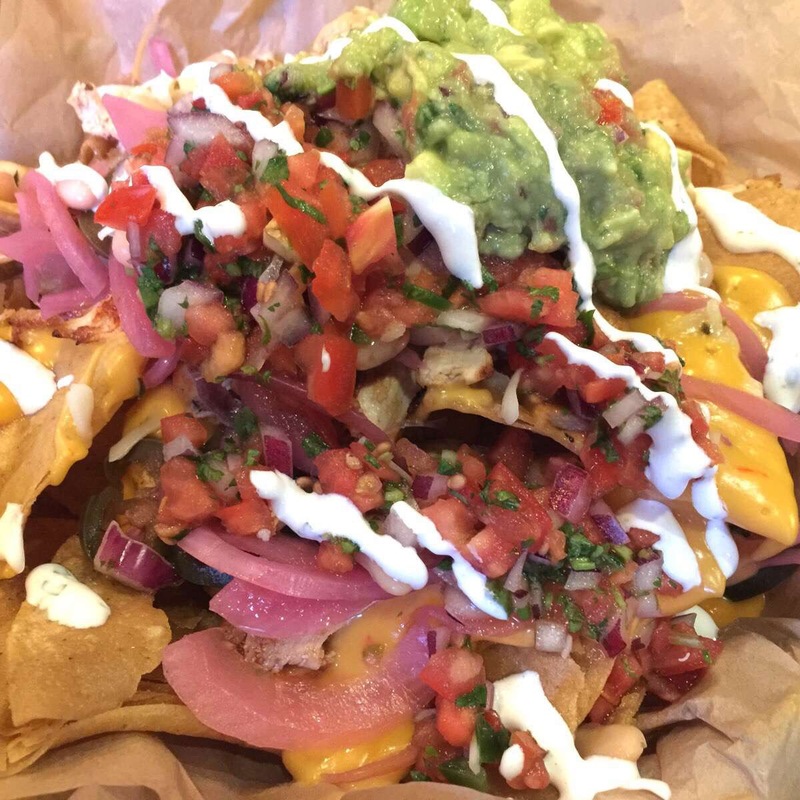 For starters we ordered loaded Nachos with chicken(I am a nachos fan really, so no other food stands the chance.) and Buffalo Chicken Wings. Both were appetizing but wings were better out of the two. 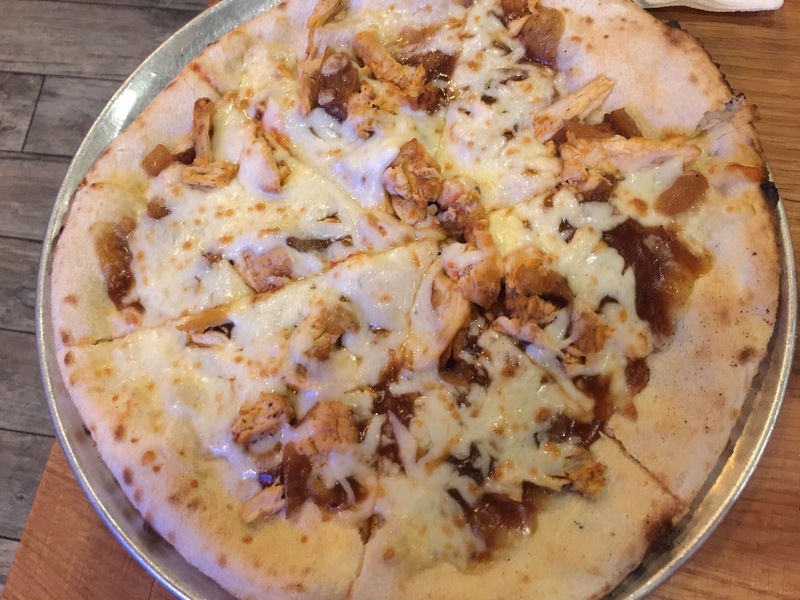 With a very little space left in stomach, we opted for BBQ chicken pizza. It was average, that’s all I have to say as it was neither really flavorful nor bland !!! Overall, it was a great experience of a pub-style restaurant. We really liked the service and food. Fuller House is surely a place of its own kind. I have always preferred other cuisines whenever it comes on Mediterranean food, but this time we decided to have a shot at this joint called Pita House in Lombard,IL. Very comfortably located at Roosevelt Road this one was recommended by Foodie colleague from Zomato Meet. As we entered there was no crowd as on weekdays people prefers takeout. A decent place with ample seating space and self-service. If you are looking for a restaurant with luxury dining, great interior then please avoid this place, you will be disappointed. We ordered Chicken Shawarma pocket, Hummus with pita bread & falafel combo. Well, Hummus tasted really good while pita bread served was soft and fresh, very much authentic. Vegetarian Falafel Plate- Falafel was really delicious with strong flavours, crispy served with the rice, lettuce and tomatoes. The combo also includes pita bread & sauces, sufficient for 2 people. Chicken Shawarma Pocket was average in taste with lost flavors on the way to our table. The chicken was tasteless, the seasonings were missing..not like the one I have tasted earlier. For drinks we opted for Turkish coffee and Baklava in desserts. Baklava is a filo pastry sweet, filled with nuts & honey. The combination of soft filo and crispy nuts was savory and very light. The coffee was as usual a bitter, concentrated drink but with no flavors & sensations. It was not at all near to what I have heard. Overall, we liked this place, its worth a try for palatable Mediterranean meal especially Entrees.